Lauren Nuffort is admitted to practice in Minnesota state and federal courts, and North Dakota state court. Lauren Nuffort has a national property subrogation practice representing claims of all types and sizes for insurance carriers. This includes claims arising from payments made under commercial property policies and homeowner policies. Lauren has successfully investigated, developed and resolved claims for carriers and their insureds involving fires, structural collapses, chemical reactions, and product defects. In addition, she assists insurers and insureds in the commercial trucking and transportation industry with investigating and pursuing subrogation claims and has developed an agricultural-setting niche by representing insurers of farming operations. In addition to her property subrogation practice, Lauren is a member of the firm’s General Liability Defense/Coverage, Professional Liability, Construction and Transportation practice groups. Lauren represents businesses and individuals facing legal challenges. A significant portion of her defense practice includes representing motor carriers and their drivers in personal injury and wrongful death actions and defending professionals in professional liability actions. She is also experienced in defending businesses in construction defect litigation, and long-term care litigation. Lauren is an active volunteer in both the legal and non-legal setting. Lauren currently serves as a co-chair of the Minnesota Chapter of the National Association of Subrogation Professionals (NASP). In that role, she organizes educational seminars for the Chapter meetings and serves as a liaison to NASP staff. Lauren previously served as the Editor-in-Chief and on the Editorial Committee of NASP’s Subrogator® magazine. Lauren has authored articles for the Subrogator® and has served as a co-presenter at NASP’s Annual Conference and NASP’s Minnesota chapter meetings. In addition, Lauren is actively involved in the Minnesota Defense Lawyers Association (MDLA). She is co-founder and co-chair of the MDLA’s Women in the Law Committee. In 2015 Lauren received the MDLA Deb Oberlander New Lawyer Award recognizing professionalism, service, and contributions to excellence in the practice of law by an attorney practicing eight years or less. She was the joint recipient of the 2018 Minnesota MDLA President’s Award. 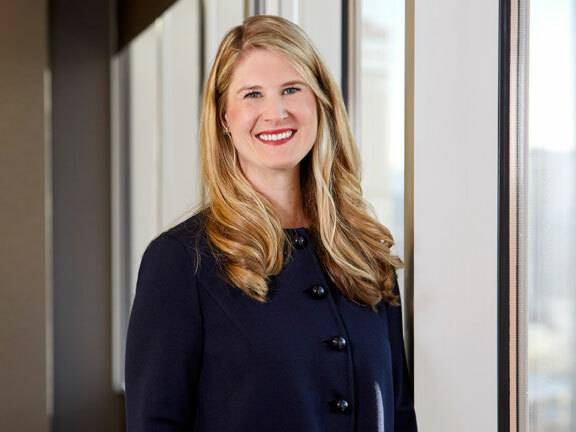 Outside the legal setting, Lauren has served as President of the St. Paul Academy & Summit School Alumni/ae Council from 2012 to 2016 and as President Emeritus in 2016-2017. Lauren also volunteers her time weekly in the winter with the Courage Kenny Rehabilitation Institute teaching adaptive alpine skiing at Hyland Hills Ski Area in Bloomington, Minnesota. Minnesota OSHA Compliance: Does your business need to submit its 2016 injury and illness data electronically by December 15, 2017?